Some ads are so bad that they’re good. I call this phenomenon BAdvertising. This week, I found myself alone in my car, stuck in traffic and singing along to the Agee’s Bicycle jingle. No offense to the Agee’s Bicycle (the client who bought this jingle) or to Baker & Associates (the agency who made this jingle), but it’s not good. #BAdvertising. But the most amazing thing is that it works. It’s been on the air for 27 years and Agee’s is still going strong after 108 years in business. On Monday, the Madison+Main-iacs launched not one, but two websites. El Segundo, California-based NC4 launched its new stellar website system with help from our friends at ByteJam. And closer to home, Commonwealth Dentistry’s website put a smile on all of our faces. Our client is happy too… we read it on Facebook. 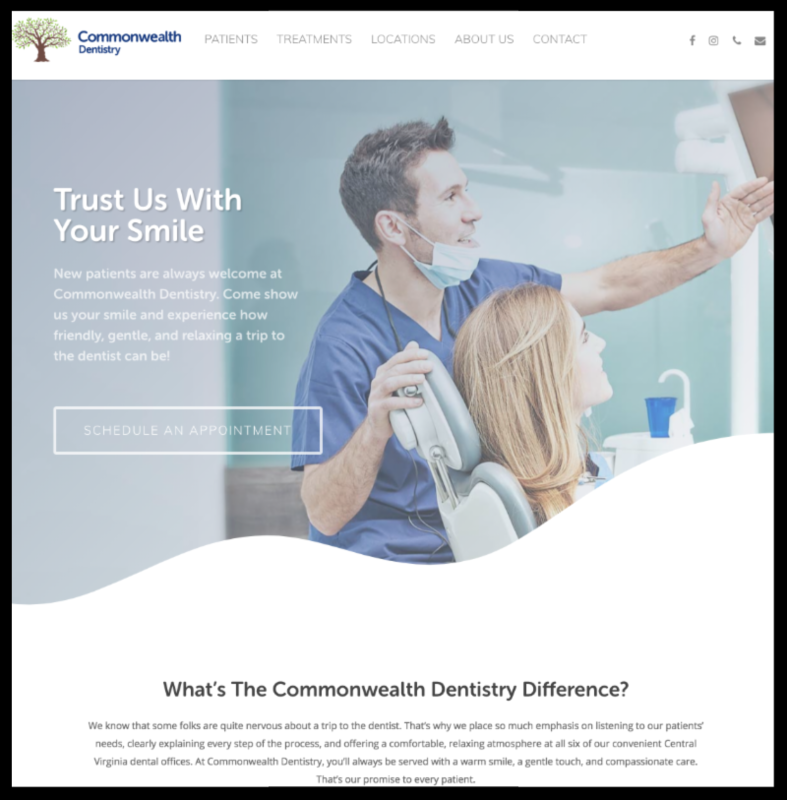 Madison+Main created a new website for Commonwealth Dentistry. Keep Smiling. On Tuesday morning, the magnificent Midlothian Rotary Club heard from Sarah Simmons, local coordinator for the Council on International Educational Exchange (CIEE). Sarah is recruiting host families for Chesterfield County Schools. Our family hosted a really great kid named Rick from Holland for his senior year at Manchester High School and it was a wonderful experience. Ten years later, Rick and his wife, Mirte, are literally like family to us. On Wednesday I had the distinct pleasure of meeting Jack Norton, former reporter and editor from the Richmond Times-Dispatch, for breakfast at Baker’s Crust. Jack and I had not previously met, but share dozens of friends and colleagues. In his post-newspaper days, Jack is now working as a freelance writer and publicist. He is also looking to make new friends on LinkedIn. Lunch, however, was not as eventful. Many colleagues order from Tarrant’s Cafe, because it’s close and has a great reputation. I must be the unlucky one, because every time I order from there, something is just slightly off. I ordered a Club Sandwich on Wednesday, which I have come to expect is a triple decker sandwich, with three slices of toast and cut into very fancy triangles. Wednesday, I got turkey, bacon, cheese, and tomato slapped onto a hamburger bun. What the French Toast? – #WTFT is my new favorite hashtag. What do Brandy and fine wines have in common? They both get better with age. Happy 25th birthday to our Business Manager, Brandy Seay. We also found out that other friends of Madison+Main also had birthdays including our IT Consultant/Magician, John Linthicum and Talent Agent Extraordinaire, Sheri Bias. 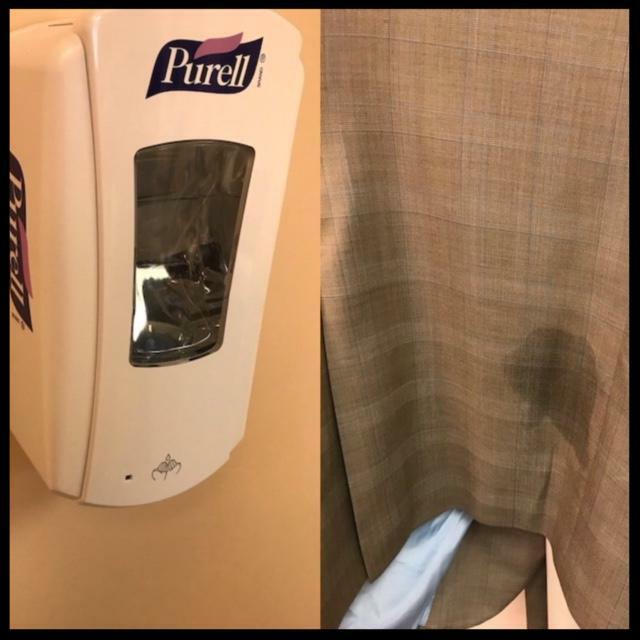 While working on-site with a client Thursday, I backed into an automatic hand sanitizing dispenser. I don’t have anything witty to say about that. May 26 | 12 – 8 p.m.
May 26 | 7 – 10 a.m.
Nick’s in beautiful downtown Shacklefords plays host again to the All-You-Can-Eat Breakfast Buffet fundraiser benefiting the American Cancer Society on Saturday. May 26th. Tickets available at the door. For info, call Nancy Dransfield, 804-512-4010. It took me an hour and a half this morning to get into work. Apparently somebody decided to build an Ark on the side of Powhite Parkway and it caused on-looker delays. Seriously though, the Powhite is backed-up every day and even a flat possum can turn North-bound traffic into a parking lot. School systems either cancelled classes or delayed opening, but at Madison+Main, the kids got an early release, as I decided to be just a little bit nice and send the team home at 3pm. They worked hard all week and the least I could do was give them a head start on tonight’s apocalyptic commute. In other news, someone left a baby stroller in front of our building. 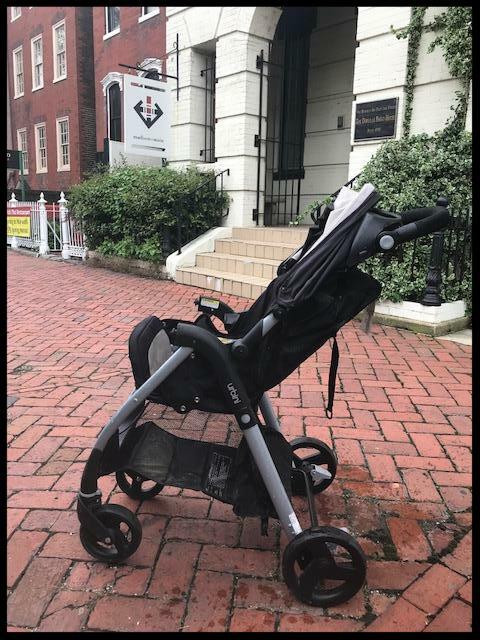 FREE – Baby Stroller that some homeless person left in front of our office. Must pick up. Baby not included.